The breakthrough design of the Giro Contact™ goggle makes it easy to adapt instantly to changing weather and light conditions. The Snapshot Magnetic Lens Interchange System sets a new standard in fast, accurate and secure lens interchange by utilizing a shutter-button release-and-locking mechanism. Self-locating magnets guide and hold the lens securely into place in this sleek, frameless design. The breakthrough design of the Giro Contact™ goggle makes it easy to adapt instantly to changing weather and light conditions. The Snapshot Magnetic Lens Interchange System sets a new standard in fast, accurate and secure lens interchange by utilizing a shutter-button release-and-locking mechanism. Self-locating magnets guide and hold the lens securely into place in this sleek, frameless design. The Contact offers an outstanding field of view and now includes two premium VIVID lens with Optics by Zeiss (one sun/all-conditions lens and one Infrared storm/low-light lens). New for this season the Contact now features EVAK™ Vent Technology for increased moisture management and vent foam durability. The Contact is a chameleon in any condition. Giro&apos;s new SNAPSHOT lens Interchange System utilizes self-locating rare earth magnets and a secure locking mechanism for fast, on-the-fly (or on the chairlift) virtually effortless lens interchange. Upon contact with the frame, the lens simply snaps into place and then locks down securely. When the clouds roll in simply depress the shutter button, release the lens and insert the lens of your choice. Toric Spherical in shape, this lens mimics the form of the human eye to provide superior optics while creating increased air volume inside the goggle to help prevent fogging. The manufacturing, testing, and quality control of all Giro spherical lenses is provided by ZEISS, a global leader in optical technology and photography. Perfected at Giro&apos;s test lab in Scotts Valley, California, this groundbreaking new frame design serves up unparalleled peripheral vision. They started with a helmet-compatible goggle, and then shaved down the frame rim and added frameless zones to optimize a massive spherical lens focused on the best possible peripheral vision in a goggle. Triple Face Foam is a three part system that gives you a plush contact layer against your face, a super soft middle layer that allows maximum contour, and a durable back layer that adheres to the goggle frame. 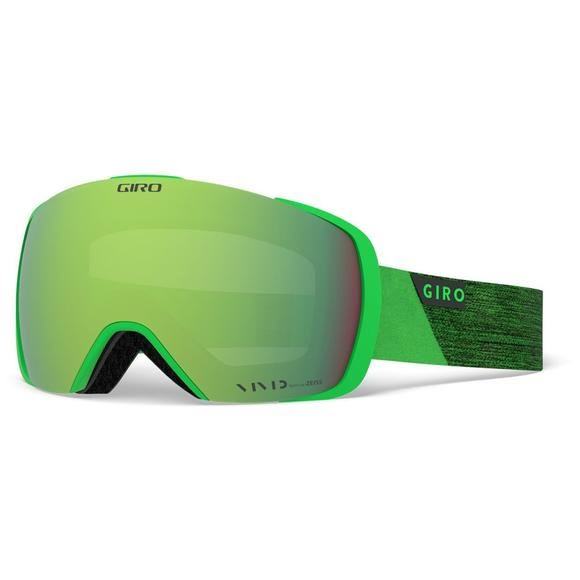 Every Giro goggle lens features an anti-fog coating to keep your vision and riding experience on point.